Several essential organs in the human body are almost exclusively made up of water. This includes the heart (73%), the lungs (83%), the blood (86%) and perhaps most importantly, the brain (73%). This is why dehydration is so hazardous to our health! The 19th Century poem The Rime of the Ancient Mariner featured the memorable line, “water, water everywhere – and not a drop to drink.” This is because 99% of the precious h20 that covers the Earth is undrinkable – it’s either too salty for human consumption, or trapped within a frozen iceberg or glacier. People often blame the full moon for strange behaviour, which has been linked to the fact that the lunar cycle controls the tides and our bodies are filled with 70% water. The truth is, this is pseudoscience – the level of water in our bodies is not sufficient for such an impact. Trillions of gallons of water is wasted all over the world through leaking taps, leaving water running while we brush our teeth and wash our hands, and using incorrectly-sized shower heads. Although bottled water is marketed as cleaner and safer than tap water, it actually undergoes fewer quality-control tests before reaching the shelves of a supermarket. Tap water run through a filter or purifier is the safest possible way of staying hydrated. Feeding water into a turbine to generate electricity, known as hydropower, is the most energy-efficient way that human beings can generate essential power sources. At the moment, China is by far and away the nation that uses hydropower most. Water may give life, but it can also take it away. Prolonged exposure to water can dissolve and destroy even more substances than sulphuric acid. Don’t panic though, being caught in a downpour on your way home from the shops is not sufficient to cause such damage! The water that we still enjoy to this day arrived on Earth around 4 billion years ago. This means that’s quite possible that the water we drink, swim in or simply watch in the ocean was once a paddling pool for a dinosaur. 97% of the world’s water is found in the Earth’s major oceans. The Pacific contains almost half of that amount by itself, with the Atlantic providing a further 23%. without taking into consideration any water that may evaporate. At the time of its production in 1995, the Kevin Costner-starring blockbuster Waterworld was the most expensive movie of all time to produce – largely thanks to filming taking place on special, water-based sets built for the film in Hawaii. Even adjusted for inflation in 2018, it’s second only to the fourth Pirates of the Caribbean flick in terms of budget. If you’re looking for a failsafe supply of fresh water, you better wrap up warm and plan an expedition. Around 90% of the world’s fresh water supply is located in Antarctica. “You have a memory of a goldfish!” is a common insult, but it’s only appropriate in certain temperatures. It’s believed that the famously short memory spans of these popular pets are actually improved when they swim in cold water, as opposed to warm. The Ice Bucket Challenge was all the rage on social media a few years ago, and the world record for coldest dunking belongs to a Welshman named Mark Evans. Evans poured a gallon of water over his head at a temperature of 0.4OC in 2015. If all the water contained in the planet’s atmosphere fell as rainfall today, there would be no need to build an ark to survive. Provided it was an even distribution throughout the globe, this water would only cover around an inch of the Earth’s surface. The UN has designated the 22nd of March as World Water Day. Running since 1993, each World Water Day has a different theme – 2017 focussed on Why Waste Water?, while 2018 will be geared towards Nature for Water. 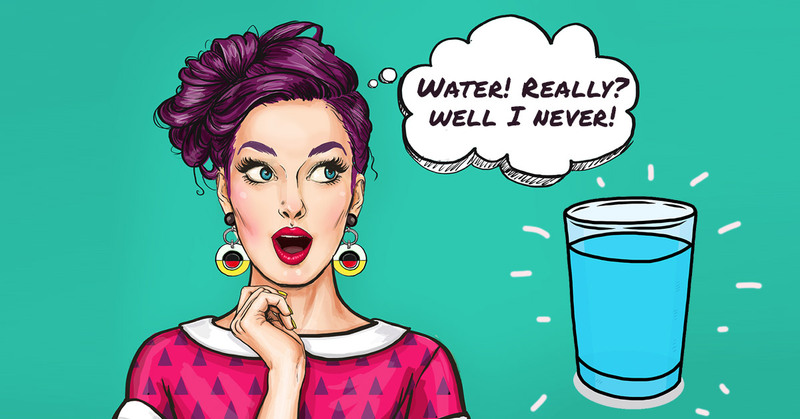 It’s not just an old wives’ tale – it really is possible to get drunk on water. 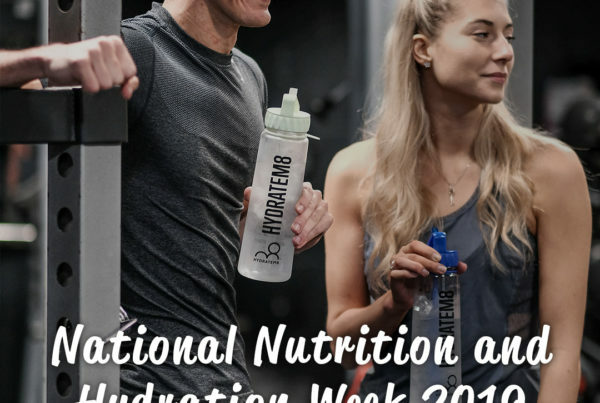 Water intoxication, aka hyponatremia, is a result of guzzling a large amount of water in too short a space of time, which causes an imbalance of water and sodium in the body and brain. 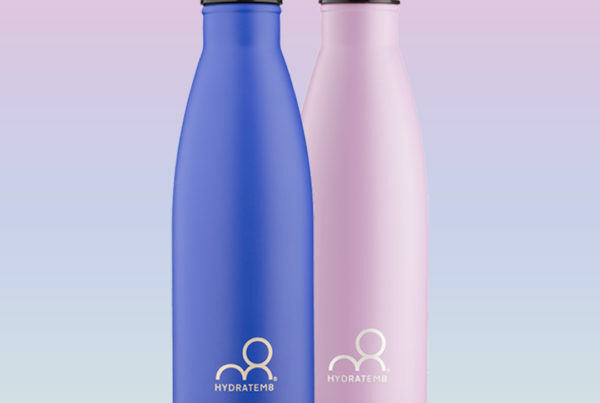 Do you find yourself thirsty after a long run, or a workout at the gym? 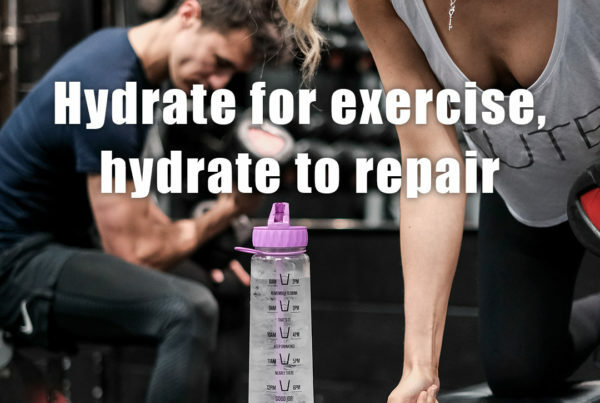 This is because physical exercise removes water from the body before it starts burning fat, hence why it’s so important to stay hydrated while exercising. The human body can only survive around a week without water, but this isn’t the case for many animals. Giraffes, in particular, tend to go several days without drinking, deriving their water supply from the plants they eat. Certain breeds of rat, meanwhile, can last weeks without water due to gaining liquid from their food and lacking sweat glands.